The HemoScreen is a miniature portable device that utilizes disposable cartridges. Each of the cartridges includes all the required reagents and is designed to accept a drop of blood taken from the finger. 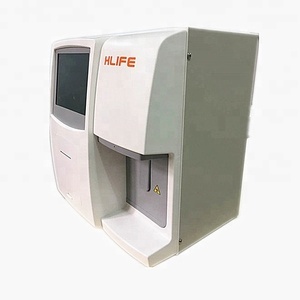 The HemoScreen uses a technology based on microfluidics, machine vision and artificial intelligence (AI). By using a new concept of Imaging Flow Cytometry, cells are flow focused into a single layer plane within a microfluidic chamber and their images are analyzed on the fly. This method is claimed to provide highly repeatable and accurate analysis arising from flow and high resolution and sensitivity attained by imaging. The HemoScreen delivers lab accurate results and would be especially useful at physicians’ offices, ER, ICU, Oncology clinics and remote locations.